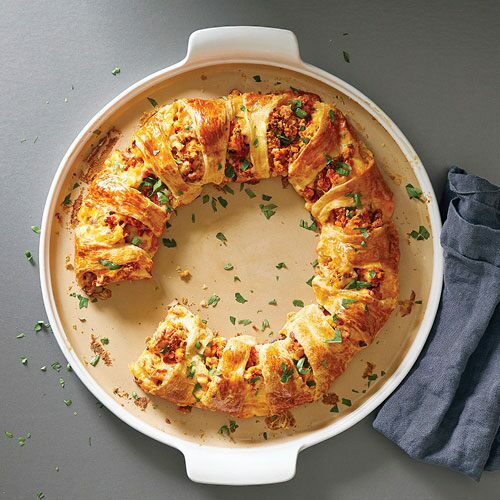 Pampered Chef’s heritage is written in stone—stoneware, that is. It’s been in our product line since the very beginning, so we know a thing or two about doing it right. Our stoneware is the best around: Many happy customers have had their favorite pieces for decades. 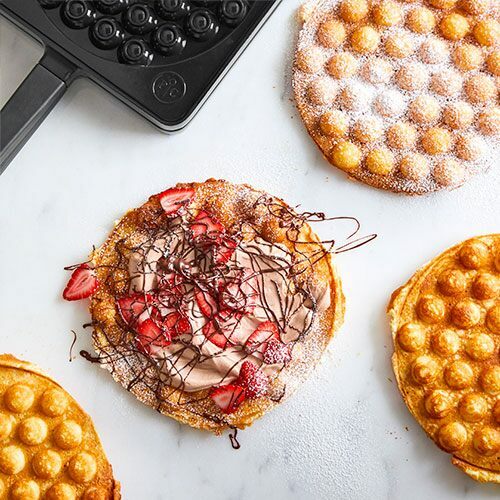 Pampered Chef’s stoneware is a natural, everyday way to cook everything from quick dinners in the microwave to light, crispy desserts. Because this stoneware has super-tiny pores, it won’t absorb oils, odors, or flavors‚ so tonight’s chocolate chip cookies won’t taste like last night’s salmon dinner. Take a look at what the stoneware collection has to offer. 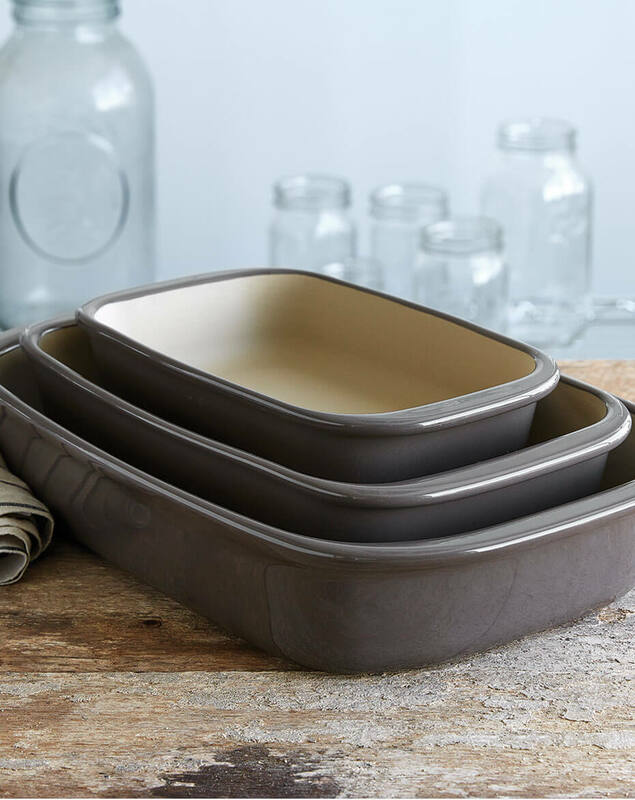 Stoneware is natural clay bakeware that’s great for everyday cooking. 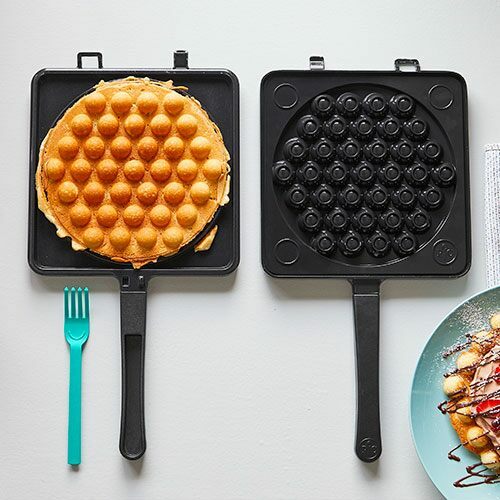 Because the clay is fired at very high temperatures, you get sturdy, durable cookware and bakeware that heats evenly and gives you consistent results every time you cook. Although all stone cookware is made in a similar way, it’s not all created equal. 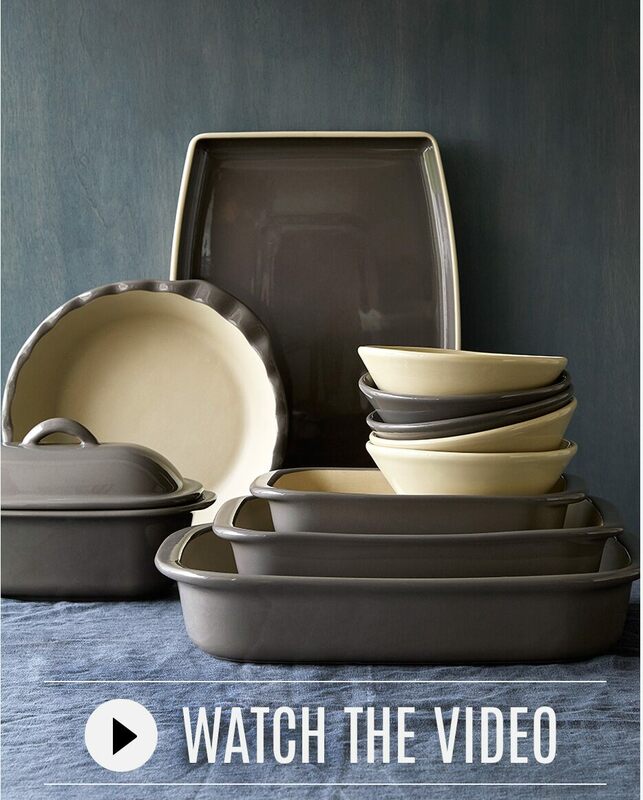 Pampered Chef stoneware is made from a natural clay that’s mined in the USA, and each piece is made in the USA, too. The clay is formed into one of our exclusive designs, fired at 2,000°F (1,000°C), then hand finished—so each piece is a one-of-a-kind creation. When you’re picking out the perfect piece of stoneware for your kitchen, there are a couple things to consider: what you cook and how much of it you make. 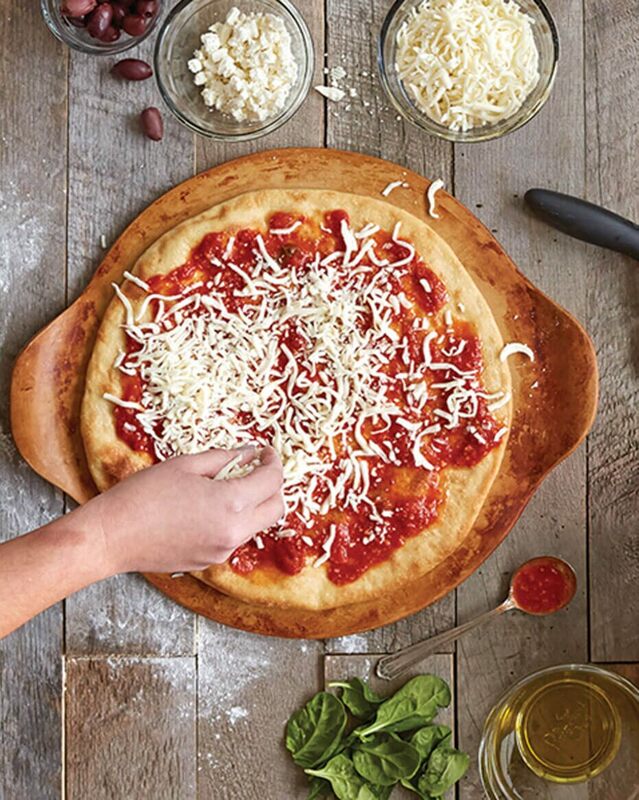 If you’re cooking a small amount of food or reheating leftovers, small baking stone or personal pizza pan is the perfect size. 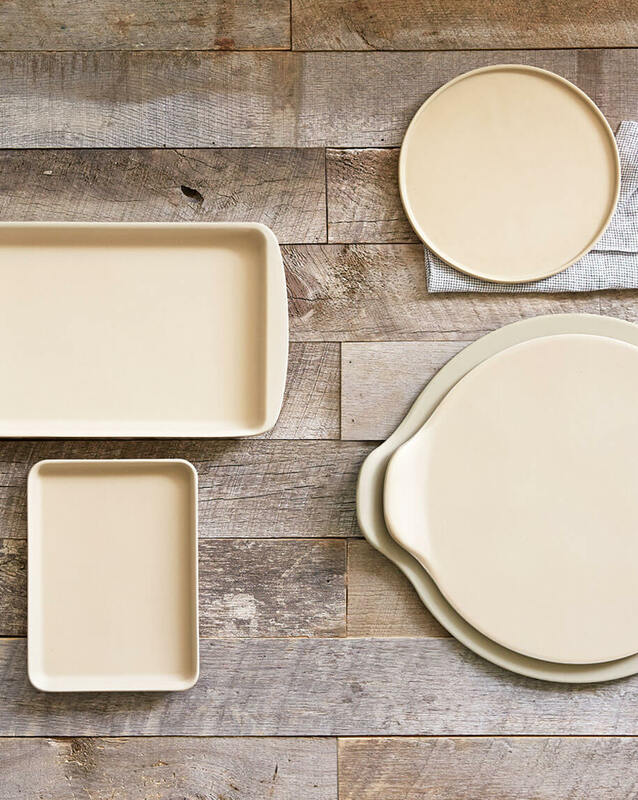 There are plenty of stoneware bakers for family-sized meals, too. 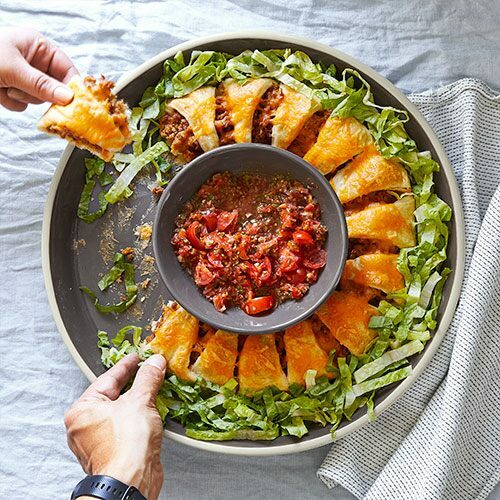 Just pick the right size for the meals your family loves to eat, and you’re ready to cook! All our stoneware, whether it’s glazed or unglazed, shares the same amazing cooking properties, so you’ll get outstanding results. 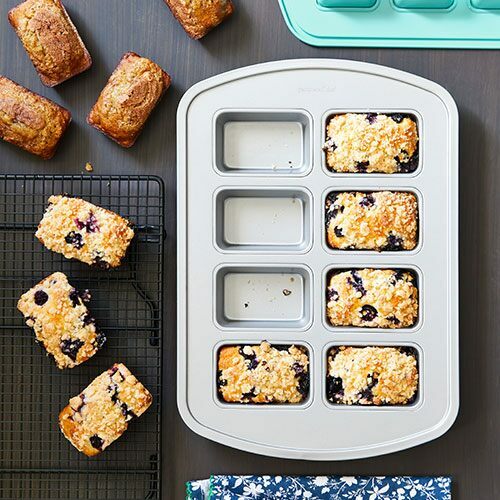 If you want something super functional, go with unglazed stoneware. If you’d prefer something that goes effortlessly from the oven to your table, consider glazed stoneware. 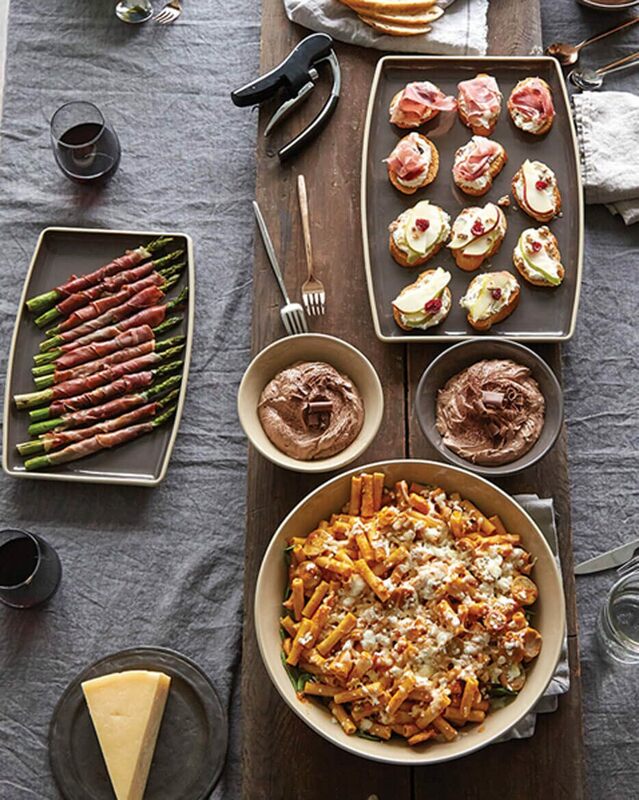 Our fully glazed stoneware goes from the oven to the table to the dishwasher, so entertaining has never been easier. 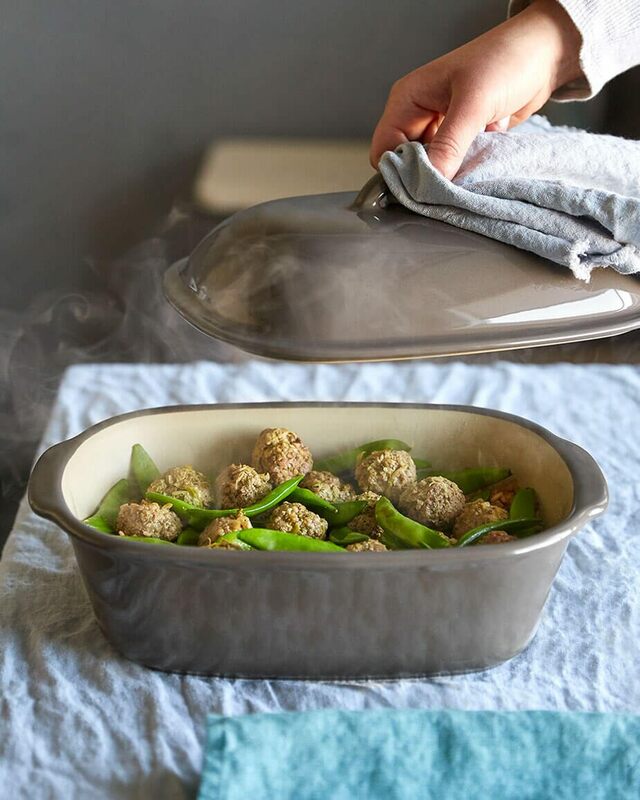 One of the best things about stoneware is that it’s ready to go as soon as you take it out of the box—no preseasoning required! Just clean it and start cooking. As you cook, your stone will develop a natural nonstick seasoning. The darker your stone looks, the better it cooks. If you want to build the seasoning quickly, make high-fat foods like refrigerated biscuits or cookies the first few times you use the stone. Cooking with stoneware couldn’t be simpler. It’s just like using your metal sheet pans or glass casseroles. Use your stone in conventional and convection ovens, as well as your microwave or toaster oven. Unlike some other stoneware, you don’t have to preheat. Just put your food on the stone in an even layer, then cook or bake it as your recipe directs. 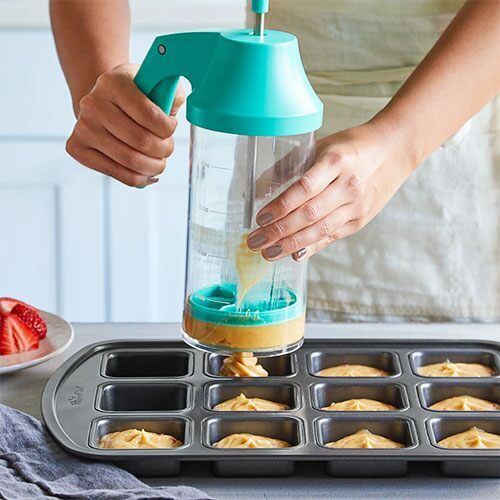 You might need to add an extra minute or two for short bake times. Cleaning stoneware is even easier than using it. All you need is a little hot water and a pan scraper—no soap required! Food particles, juices, and soap won’t soak into the stones since they’re virtually nonporous. Wait until your stone is completely cooled, then use the scraper to remove any food debris. You can deep clean it with a baking soda paste, so even cleanup is 100% natural. – Impressed Cook, Simpsonville, S.C.
– Stoneware Super Fan, Navarre, Fla.